Jitin is the principal Partner at Talwar Advocates and has played a major role in the development of the firm, internationally. He is a serial entrepreneur and advises various start-ups and is blessed with a genuine vision in life adding to his great intellect and leadership instincts. 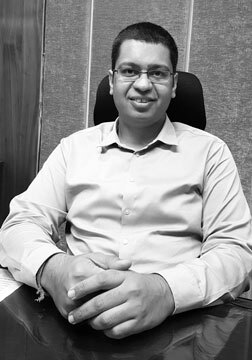 At Talwar Advocates, Jitin regularly files and prosecutes several Patents and Trademarks on behalf of several top companies and universities in India. He regularly advises companies in International Patent Prosecution and other Intellectual Property Strategies. Jitin is an Engineer, as well as a registered Advocate and Patent Agent in India. At TA, we facilitate individual clients, corporate entites, partnership ventures and single inventors achieve the best possible legal and intellectual property consultation. Copyright © 2019 Talwar Advocates.